I find time after time photographers have a hard time photographing their furry friends. I don’t have children (yet! Little guy is on the way!) so I’ve had to practice on my dogs. Photographing dogs has it’s challenges. For one, they are constantly moving (I’ve heard this is true for toddlers, but I wouldn’t know!). For another, they have long noses. Which makes getting their whole face in focus difficult. 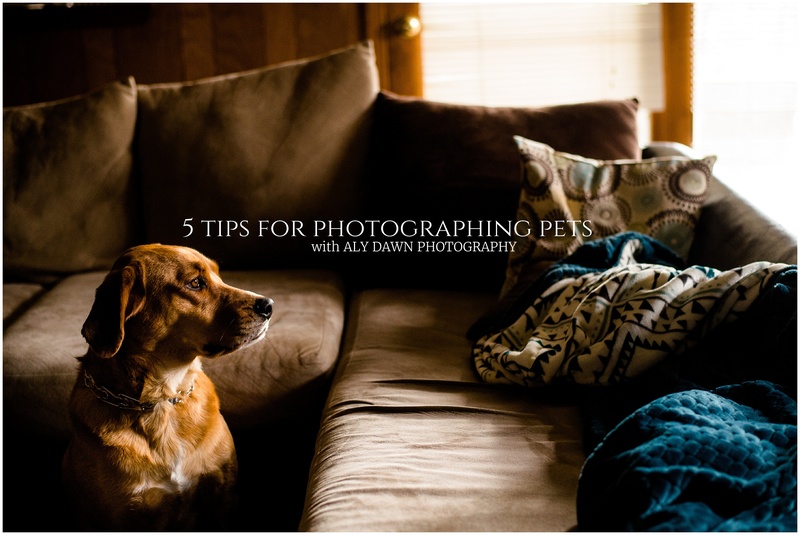 Want some inspiration on dog photographs? Check out my dog project I did all throughout 2016. Dogs can be so fun to photograph. They are so honest and they show you exactly how they feel. If they’re bored with you, it shows. If you try and use a treat (which I very rarely do), it shows. They give that camera an ‘ok I’m looking at the treat’ look. It’s totally obvious. But there are ways around this. I think the number one tip I can actually give is to let them warm up to your camera first. I get so many outtakes of my dogs because they like to come see what my camera is. I let them sniff it, I let them look at it. Whatever makes them comfortable. After a little while, they walk away and do their own thing. And now when I pull out my camera, they don’t even care. The tips below will hopefully get you on the right path to start photographing your dogs honestly, and move away from the posed shots. All images in this post were taken with my Nikon D610 and the Nikon 50mm 1.8. There’s nothing more honest than a dog playing. They LOVE playing. They love playing with each other, they love playing with people, they even love playing by themselves. Photograph them doing it! Let them first warm up to the camera, and then just wait. They’ll start chewing on that stick again. They’ll start rolling in the grass. They want to do what’s fun most of the time. Let them do it. Make sure you have a high shutter speed. The lowest I ever go on my dogs is 1/200. Any lower than that and I sometimes get blurry images. Playing or being still, I try to make my shutter speed at least 1/200. If you can be patient, you can get any shot of your dogs. Simple as that. I sometimes find that when I try to photograph them the way I want them to be photographed (in a certain pose, doing something, etc.) that I just have to patient and they will do it themselves. I sometimes find the prettiest light that I want to photograph them in. I lure them to the location, tell them to sit, and then just watch and wait to see what they will do in the pretty light. Most of the time, they end up laying down and relaxing. Completely being themselves. Sometimes, they just walk away, and play somewhere else. And I’m OK with that. I don’t want to force them to do anything. But by being patient, I usually get the shot I am after. It usually takes a while, but I think it’s worth it. I think just like getting in the frames with your children, it’s important to get in the frames with your dogs. They are definitely part of the family, and I know you want to remember them later on. I sometimes have my feet in images, I sometimes have pictures of my kissing on them. I have pictures of us playing together, because I do a lot of that during the week. In the image above, I was trying to get some pictures of my baby bump, and my dog wouldn’t leave me alone. So I played with her. 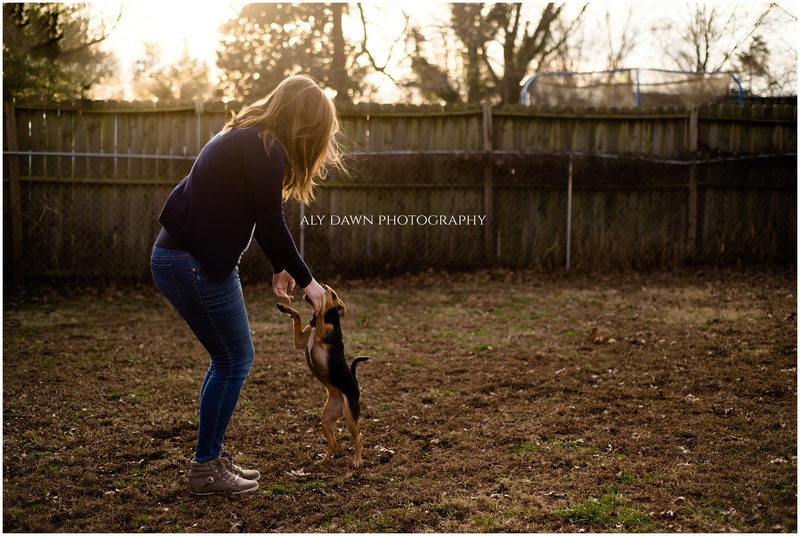 There are so many different ways to get in the frame with your dog. Pick up the little ones. Sit down with the big ones. Show your feet and their heads. Just get in the frame with them. It might be fun! You don’t always have to get their faces in the image. I often times like to photograph just their paws. Their tails. I try to mix it up. I get their whole body in the image, just their face, or just their paws or tail. 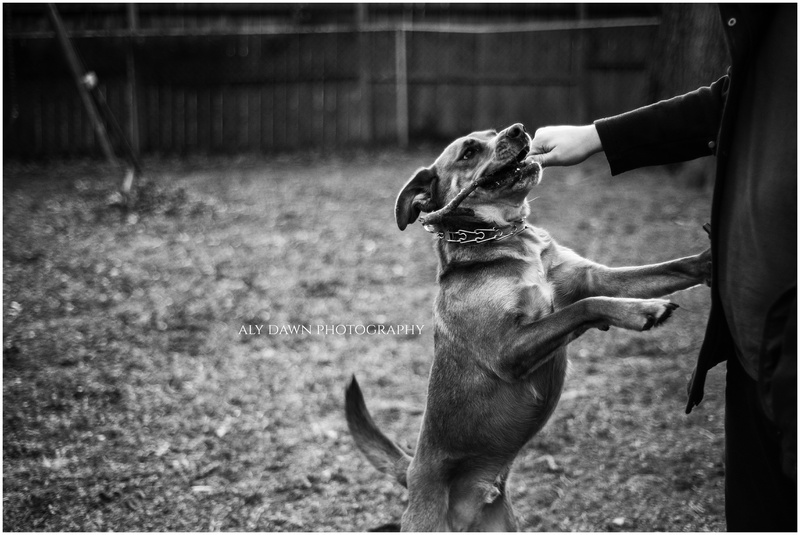 There are so many different comps and angles you can use when photographing dogs, just like in humans. Try something different and I know you’ll love the outcome. Your photos will start to look natural. I’ve mentioned this above, but I cannot stress it enough. Let them be themselves! Don’t force them to sit. Don’t force them to look at the camera. Don’t force them to do anything. Let them be themselves. They do the cutest things all by themselves. Just watch them and photograph them. They are very honest creatures. And when I say that, I mean, they show all emotion. If they are bored, they show it. If they want that treat you’re using to bribe them to stay still, they’ll show it on their face. If they don’t want to sit in that pretty light for you, they’ll move. Photograph them being them, and you’ll always love the photos you come up with. I promise. 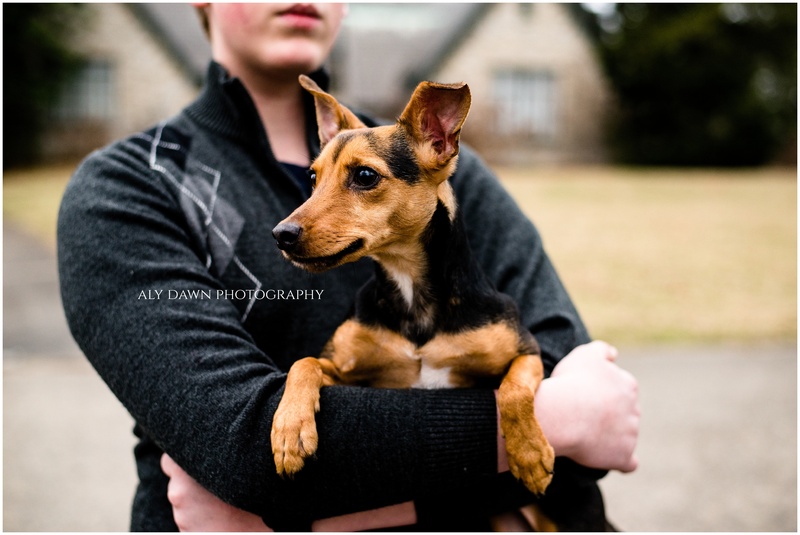 What are some ways you photograph your dogs? Do you get in the frame with them? I’d love to know!